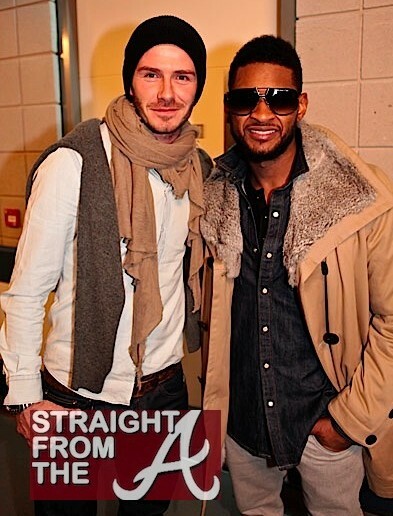 Usher Raymond performed at the 02 Arena in London last weekend (February 18, 2011) and was greeted by David Beckham backstage. Rumor has it that David and Victoria’s three sons are huge Usher fans and love to mimic Usher’s smooth moves. The boys each got a chance to show him their dancing skills backstage at the London concert. “As soon as they saw Usher they ran up, hugged him, then broke off to show him all the dance moves he taught them the last time they met. 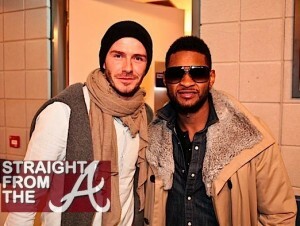 The kids were so excited to be break dancing for Usher,” said a source close to the Beckham family. The ”OMG” hitmaker earlier revealed that David wanted him to give dancing lessons to the couple”s three sons Brooklyn, 11, Romeo, eight, and five-year-old Cruz. Usher was particularly impressed by the youngest child”s skills and admitted he would love to invite Cruz on tour one day in the future. “Little Cruz is amazing. He can do breakdancing and head spins on the ground. He”s a little too young to come on stage with me, but one day he”ll be fantastic,” said Usher. 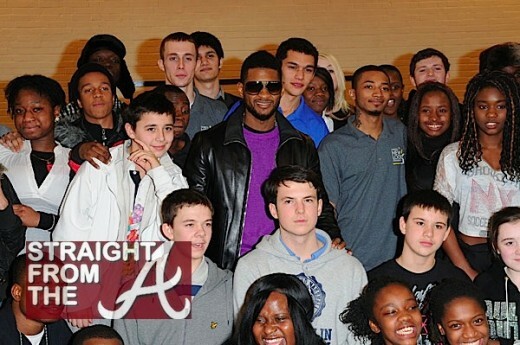 In addition to his concert, Usher also launched the London leg of his New Look Foundation, aimed at mentoring disadvantaged youths at The Brunswick Club on February 19, 2011.